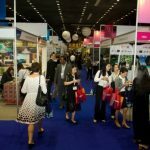 The Tourism Authority of Thailand (TAT) is reporting that buyers, sellers and all other visitors to the 16th Thailand Travel Mart Plus Amazing Gateway to the Greater Mekong Subregion (TTM+) 2017 have been greatly impressed by this year’s event, which is on its final day. TTM+ 2017 is being held from 14-16 at the Chiang Mai International Exhibition and Convention Centre (CMECC) to promote the tourism and the tourism service business sector in Thailand and the Greater Mekong Subregion (GMS). 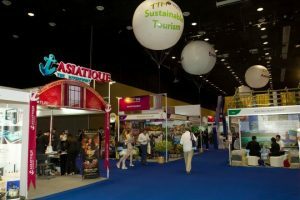 Hundreds of buyers and sellers representing hotels, attractions, events venues, tour groups, car rental and more, have come from all over the world to network and promote their tourism products and services. Most buyers have said that they’ve been hugely impressed by TTM+ 2017 in terms of its scope and organisation and many have expressed a desire to return next year. One of the aims of this year’s TTM+ is to showcase the huge potential of the Mekong Subregion and the CLMVT nations to work together and to boost income from tourism that benefits the region as a whole. International speakers have come to share their ideas and knowledge through workshops and forums and have addressed topics such as security, community based tourism and the role of information technology in tourism. With the event now ending, many of the travel trade show’s buyers and members of the media will enjoy a range of post event tours of northern Thailand, These will showcase the rich Lanna heritage of the region as well as the many scenic wonders and Uniquely Local Thai Experiences that tourists come to Chiang Mai to enjoy.